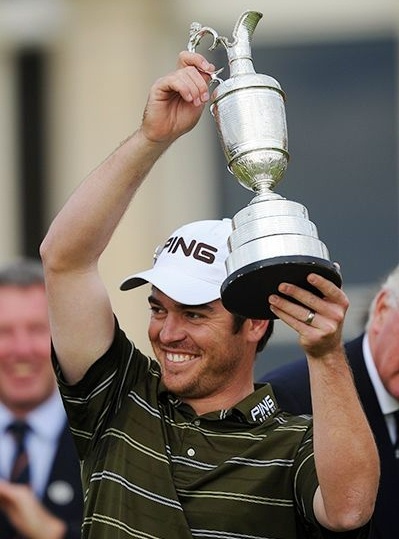 In a year when a European team won the World Cup in South Africa, a South African man named Louis Oosthuizen won the European's most prized golf championship, The British Open, on golf’s most hallowed ground, St. Andrews. I truly believe Tiger will find his game again, and also believe that he may just be better than ever when he does find his game. But maybe, just maybe, even if Tiger had been on his game this weekend and playing like the Tiger of old would it have been enough to beat the determined 27 year old Oosthuizen? I say no, even though I am a Tiger fan and usually not a fan of a "no name" player like Oosthuizen winning a major championship. I now see that this one was possibly meant to happen. After taking the lead in the second round, Oosthuizen never looked back. I believed he would fall apart as I’m sure you may have also as so many do on those final two days.